Did you know Anxiety and Depression can be caused by hormonal imbalances, vitamin deficiencies, or even situational circumstances? Google it. It’s true. It’s not always a “problem” with your brain and you might not even realize what you’re experiencing is actually a mood disorder. So, how can you know? Well, there’s no one size fits all diagnosis, which is why it can be hard to diagnose mental health issues especially Postpartum depression. Not everyone has typical symptoms such as weight changes, sadness, crying, or racing thoughts. Sometimes the signs are much more subtle. I’ve compiled a list of symptoms that could seem normal but if they’re not normal for you, they may reveal that you’re struggling with more than baby blues or mood swings. Sign #1: Irritability. Sure some irritability is normal. After a day alone with four children, I think quite a bit of irritability is normal and to be expected. But if you’re yelling a lot or have a hard time controlling your temper. If you find yourself angry at inanimate objects, constantly overwhelmed with your children, and more than usually impatient, you might be experiencing symptoms of depression. Sign #2: Heart racing or pulpitations. Have you ever felt like your heart skipped a beat? Anxiety can cause both a racing heart and pulpitations. When you’re really amped up, it can affect your heart, making it race, skip, or irregular. Sign #3: Irrational perfectionism or obsessive tendencies. This happens to me a lot. I wanted a small coke, I got a large. I wanted my salad dressing on the side, it came with it on top. Someone left the cabinet door open, took a picture off the wall, loaded the dishwasher wrong. It’s amazing how much this one affected me personally before I recognized, accepted, and started treating my anxiety. Now, when my drink comes in the wrong size, I may get a tinge of annoyance. However, I am able to dismiss it quickly and drink it anyway. Anyone struggling with perfectionism or compulsivity, knows that when something is not quite right, it can be hard to function. 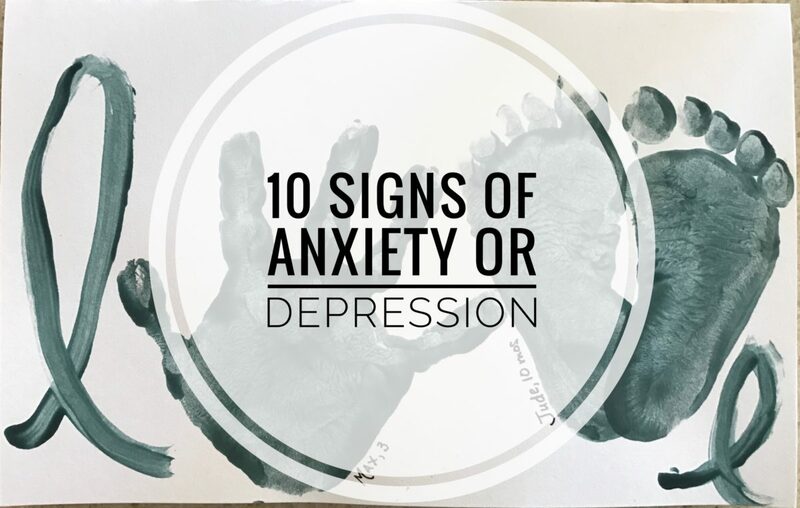 These can be a sign of anxiety or depression. Sign #4: Loss of appetite or gastric distress. I think this is a huge sign of stress. If you look it up, for some reason medical professionals will not admit that GERD can be caused by anxiety. Yet, I’m physical, living proof that it can. Heart burn can not only be caused by stress but it can cause you stress (when everything you put in your mouth makes you feel sick, you stop wanting to try, which makes meal times very uncomfortable) so it’s kind of a double edged sword. If you change your diet and cut out main allergens but still have symptoms such as hives, difficulty breathing, acid reflux, and heart pain, it’s time to look at possible neurological causes. Sign #5: Heightened sense of hearing/sensory overload. Have you heard of people who can’t stand to listen to other people chew? That’s me. But, you know it didn’t always used to be me and it doesn’t always bother me. If I’m out, socializing, eating with friends, I don’t notice. But, if I’m in the car with a screaming baby and my eight year old starts eating chips? Let’s just say it’s not good. Suddenly notice you can’t stand loud noises, crowds of people, or even certain items of clothing (tags anyone? ), it’s time to start considering anxiety as the cause. Sign #6: Sleep disturbances such as insomnia. Having trouble falling asleep, staying asleep, or waking up earlier than usual for no reason can all be signs of anxiety, mania, or depression. If the baby is sleeping well but the thought of sleep yourself sends you into a mind whirling void, it might be PPD. Sign #7: Lack of emotion or emotional outbursts. This one can go two ways: either you become disinterested and no amount of prodding can really take you out of your monotone existence. Or, your emotional outbursts become unexplainable, unreasonable, and unstoppable. For me, it’s like I’m seeing myself on the outside. I know I’m being illogical but I can’t make myself calm down and think rationally. It’s like the emotion gets so big that you can’t contain it anymore. If you experience either of these symptoms out of the norm, they could be signs of anxiety or depression. A good way to center yourself when you’re feeling out of control is meditation and prayer. Sometimes, it helps me to focus on praying for others when I’m feeling particularly amped up as well as for myself for patience, peace, and calm. Sign #8: unexplained weight loss or gain. This one is pretty common and self explanatory. I think we all like the idea of unexplained weight loss but the reality is that changes in weight for no clear reason can be signs of physical or emotional problems. (Read about my struggle here). Sign #9: Inability to concentrate or relax. You can’t sit still. You can’t sit and concentrate on one thing for more than a few minutes. You’re agitated, flirting from activity to activity but generally not finishing a task. These can be signs of anxiety, depression, and mania. Sign #10: Loss of enjoyment.Suddenly things you used to love no longer interest you. You look at the future and you can’t think of a single thing to look forward to. You wonder why you even bother to get out of bed every day. This is a major sign of depression. Medications aren’t always the answer though. I was starting to feel overwhelmed with life, every day looked oppressively the same with nothing on the horizon. Life felt meaningless. Medication cannot cure this feeling. God can. I’ve spent a lot of my life wondering about religion and God and the point of it all. I’ve struggled with my Faith and my prayer life. But, when it came down to it, when I really felt down and out, prayer helped center me, focus me, and gave me the why to the purpose of my own journey through this sometimes difficult life. Now that you know the signs, here’s what you can do to help: Pray, meditate, spend time talking to God, exercise, write, have a long talk with a good friend, snuggle your loved ones, take some time out for yourself, read, and many others. Of course, there is always medication and your family doctor, OBGYN, or psychiatrist can recommend what will work for you in your situation. However, therapy and focusing on self improvement are both integral parts of healing from mental distress. Above all, know that you are not alone. If you suffer with any kind of mental disorder, whether it be PPD, bipolar, GAD, PTSD, or depression, there are millions of other people in the world struggling along side you. You may not know their story and they might not know yours but together, we can share our hurdles and maybe that will make them a little lower, a little less stressful, and a lot more conquerable. I am a pastor’s wife but have been struggling with undiagnosed post partum anxiety and depression and I think a form of OCD for the last 6 years. It is only now with the birth of my third child that I have realized what has been going on. It has become VERY severe and I can’t function properly. It is affecting my marriage, the ministry and my kids. I feel so embarrassed to share the things I obsess over because many of them are sooo childish, and I know there are people with real problems such as poverty, abuse etc. But I just can’t let go and I am driving my husband crazy. I had a history of anxiety disorders before I got married and my mom had severe post partum depression and bi-polar disorder. I really need help. I particularly struggle with irrational perfectionism mainly about my children, being irritable and overly emotional. Hi Lauren, that sounds very similar to what I struggle with. 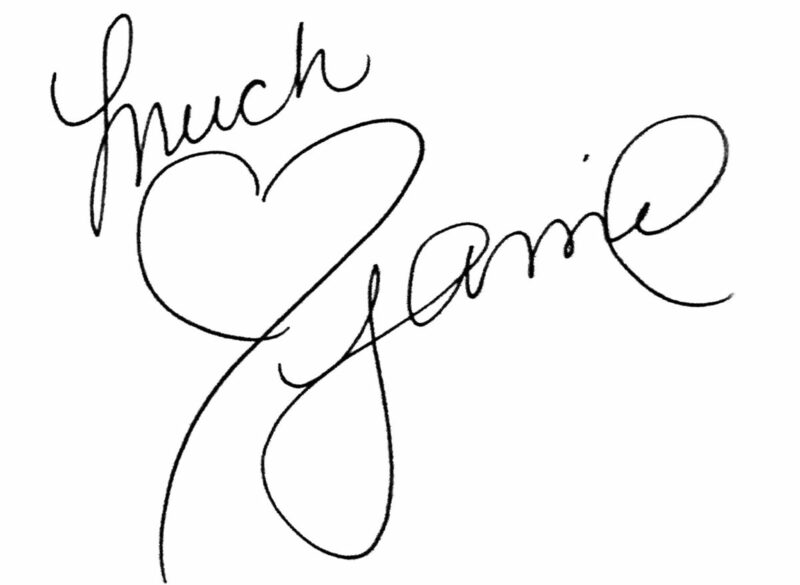 Feel free to message me at jamie@mommyinflats.com if you ever want to chat.